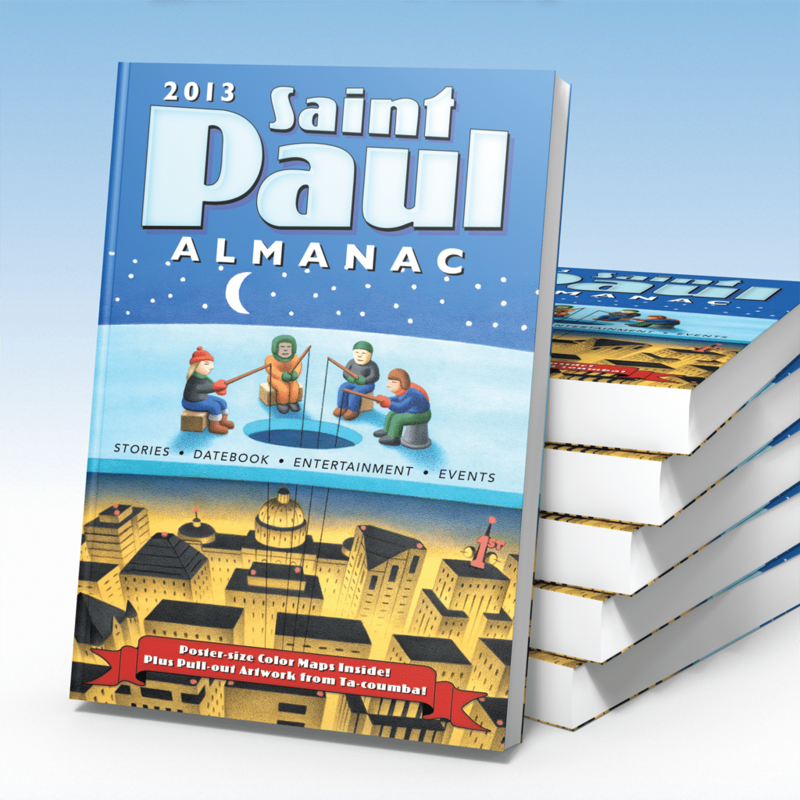 The 2013 Saint Paul Almanac will be launched on September 13th! We’ll celebrate in the AZ Gallery, Black Dog Café, and Clouds in Water Zen Center. All are welcome as we celebrate the hot-off-the-press release of the 2013 edition of the Saint Paul Almanac, featuring the work of more than 120 local writers, including Patricia Hampl, J. Otis Powell‽, Margaret Hasse, Mahmoud El-Kati, Sharon Chmielarz, John Minczeski, Ethna McKiernan, Michael Kiesow Moore, Wendy Brown-Baez, and Mike Hazard. This event is free and open to all. Donations gratefully accepted. Catch the 2013 Saint Paul Almanac Reading Series in the following months, at coffee bars around the city. We’ll celebrate in the AZ Gallery, Black Dog Café, and Clouds in Water Zen Center, located at 308 Prince Street, Saint Paul, MN 55101. Where to park: Behind the Black Dog/AZ Gallery for $2. Approach the lot on Kellogg and you will miss all the construction. Drivers exiting off 94 can still take the 7th Street exit and avoid roadblocks. Proceed down Wall to Kellogg and take a left. 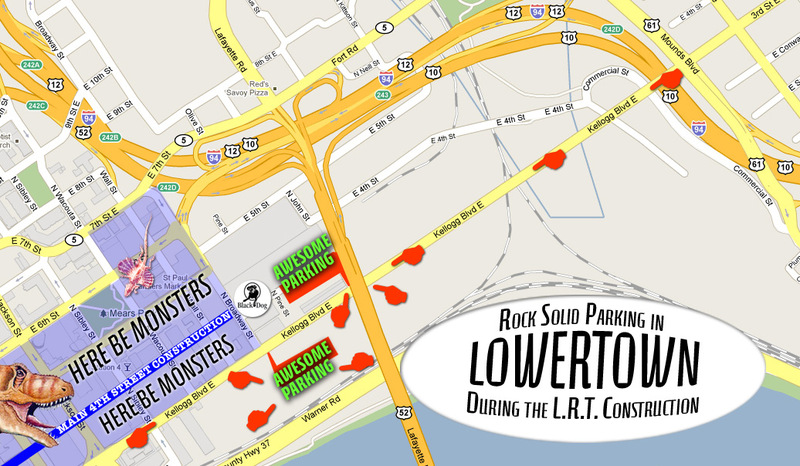 Or exit 94 at Mounds and come down the Kellogg Bridge and take a right into the parking lot.